Manchester Comedy Festival Round-up | Rocket Steps. The art of communication. 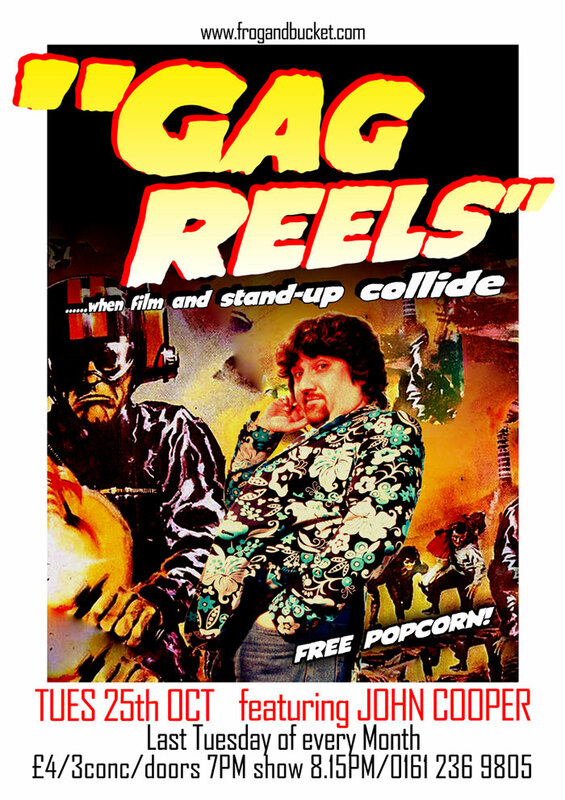 The Frog & Bucket comedy club are showing another of their ‘Gag Reels’ night where a comedian gives a running commentary over one of their favorite films. I’ve been invited to do this one, and I’ll be doing a big colourful movie from 1965 which has Peter Cushing and Bernard Cribbins in it and lots of angry sink plunger wielding mutants and a plan to invade the earth. Expect lots and lots of affectionate digs, possibly a drinking game involving Sugar Puffs product placement, and also possibly a full re-enactment of the robomen-eating-dinner where everyone gets a paper plate with peas rolling round on it. Previous PostBedford, Poole, Taunton, Eastbourne, Southsea, AlnwickNext PostWedding suit boat cake.